The race for open space continues: Development consumed 15,000 acres per year on average between 1995 and 2002—while over the past five years, state-funded programs have preserved an annual average of 42,000 acres of farmland and open space. This preservation comes at no small cost: Since 1999, the state has appropriated more than $2 billion to the Green Acres and Farmland Preservation programs, while county and local taxes for land preservation, park projects and historic preservation raised $330 million in fiscal year 2007 alone. State agencies have targeted an additional 1.1 million acres for preservation—700,000 acres of high-value natural resource lands and 400,000 acres of farmland. With limited funds and rising land prices, we cannot afford to purchase all this land, but state and local government can use other tools to ensure its protection. The first step is easy: On Nov. 6, vote yes for ballot question No. 3 to authorize the state to issue $200 million in bonds to keep our critical open space, farmland and historic preservation programs afloat. In addition, support other “smart conservation” steps in your community. Contact your planning board to see if your municipality’s master plan has a conservation element (and, if relevant, a farmland preservation element) that identifies natural resources. Check to see if protective regulations are in place, such as a stream corridor protection ordinance and conservation zoning that combines low densities with a means to cluster development. Make sure your community complements aggressive land protection measures by allowing higher-density development and redevelopment in appropriate locations. Compact, well-designed growth—like that found in well-loved historic towns, villages and cities—is the hottest green strategy to address global warming concerns. This type of development enables residents to reduce car travel and takes the development pressure off our fields and forests. And it complements renovation of historic properties. In short, if your community has an area that can support growth, make sure the zoning promotes smart growth, rather than sprawl development. The state’s fiscal crisis necessitates more strategic spending of public funds. New Jersey’s budget hole stems, in large part, from a heavy debt load. (The state’s long-term debt is so high, in fact, that $2.6 billion, or 8 percent, of our annual operating budget must be devoted to debt payments.) Given the burden that new borrowing will place on taxpayers now and in the future, government has a heightened responsibility to use those funds as wisely and efficiently as possible. Purchases with the state’s Green Acres and farmland preservation funds are a sound investment in New Jersey’s future, but those programs can be fine-tuned to accomplish even more. Use precious funds wisely. Carefully consider state contributions for local purchase of properties whose price has skyrocketed because developers have already gained local construction approvals. 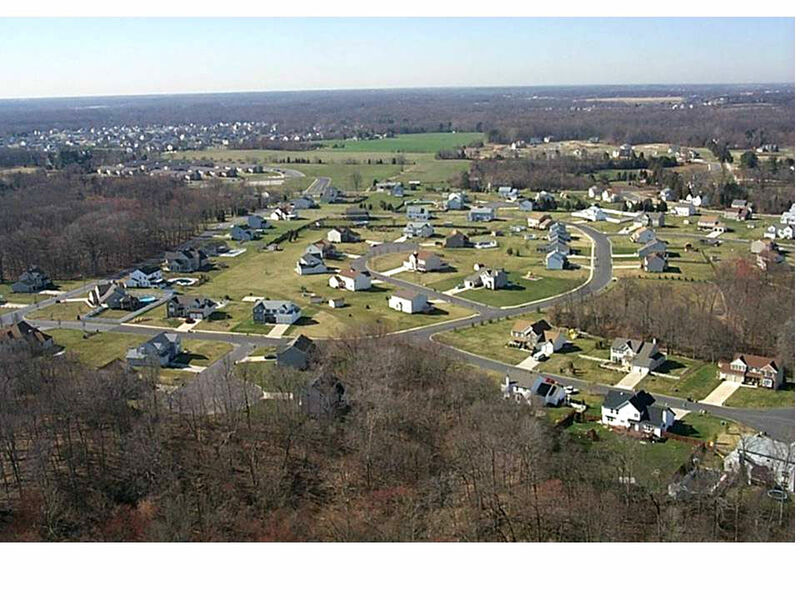 This happens when communities fail to plan proactively for open space and farmland preservation. We must encourage local governments to target parcels strategically for preservation—and zone them accordingly. Get more bang for the buck by stepping up requirements for the state’s premier open space and Farmland Preservation grant programs. Require municipalities to adopt not only an open space funding mechanism and plan, but also an inventory of natural resources, an agriculture retention/farmland preservation plan (if relevant) and basic ordinances to protect water resources. Tailor these requirements for urban areas. Get needy communities (those that rank low on per-capita income, but high on natural resources) on board with technical assistance and matching grants. Reward those communities that exemplify sound planning for sustainable development and preservation. Dedicate $2 million of state land acquisition funds annually for one-time bonus grants to the top five communities in the state that adopt innovative land use plans, programs and ordinances for well-located, compact, mixed-use development and redevelopment and permanent protection of natural resources. Use an objective ranking system to protect against political influence. This program will not only fund strategic land purchase, but also encourage communities across New Jersey to improve plans and ordinances. Foster regional cooperation on preservation projects that cross political boundaries. Create a special funding pool for regional preservation that multi-municipal and multi-county partnerships can apply for.